This chair from One King's Lane is just charming. Its lines are classic, but the watercolor ikat makes it both fun and modern, too. Perfectly plain white dishware would look so special on this gorgeous tablecloth. 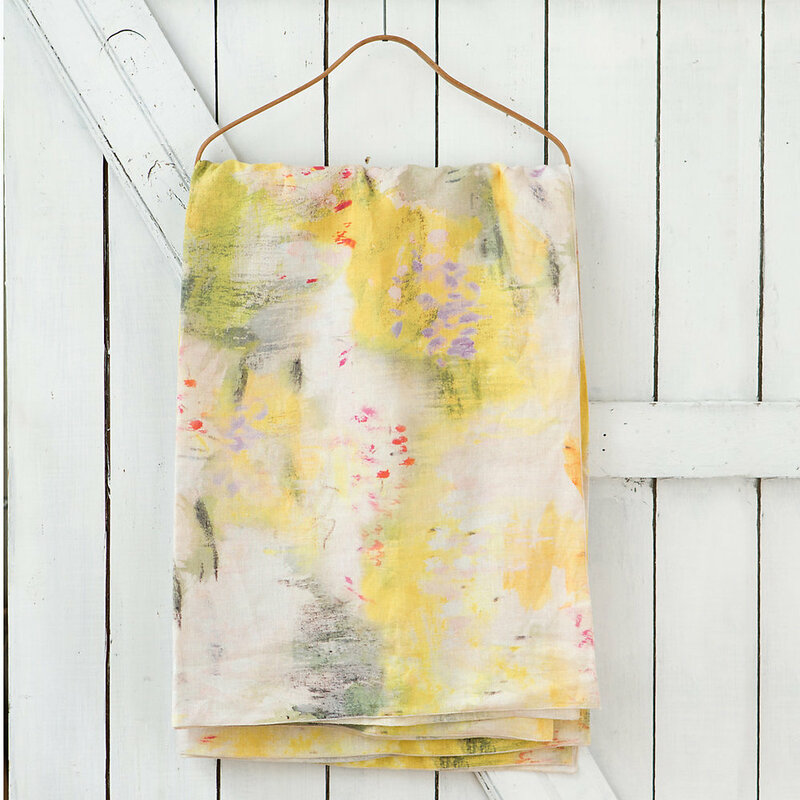 It's from Terrain, the new home goods store owned by Anthropologie. 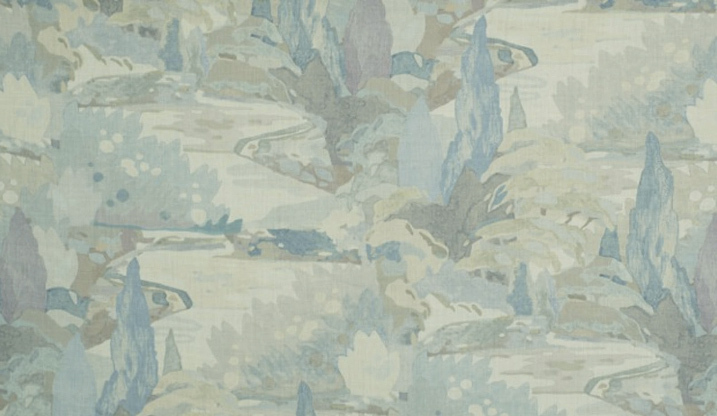 I absolutely love the Watercolors Collection from Beacon Hill / Robert Allen. The upholstery fabrics come in a bunch of colorways, all of which are beautiful and refined. The patterns have a traditional subject matter, but the watercolor style makes them anything but fussy. They'd hippify a formal room, or dress up a casual one. 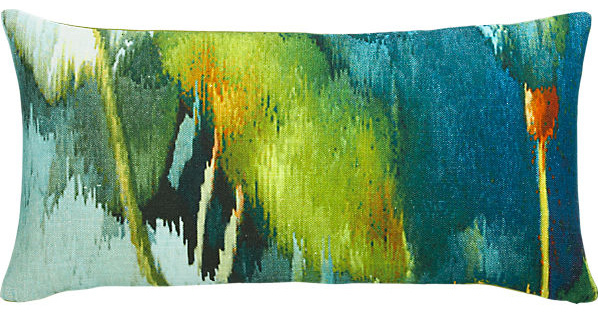 The colors in this pillow from CB2 are so vibrant, and it's really well priced. It'd look lovely on a bed dressed in neutrals and blues. 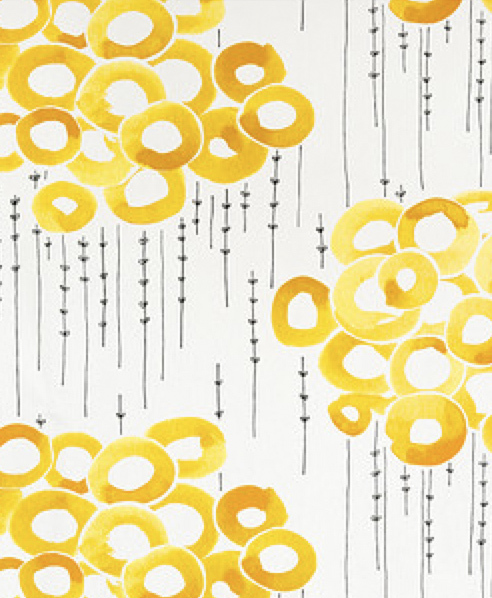 This fantastic wallpaper by Dutch designer Anna Badur reads as a mysterious, ethereal mural. It'd be spectacular in an entryway, small powder room, or even a walk in closet. Did you know that Ikea is a great resource for textiles? Their fabrics are surprisingly cute, and, of course, extremely well priced. They're not upholstery grade, though, so I wouldn't use these on something that will get a lot of wear. They'd work well as pillows or chair seat covers, though. And, to wrap up: the Aura silk rug collection from ABC Carpet & Home. The rugs are all knotted by hand in India, and achieve their incredible luminosity through a technique called color mediation. Made of recycled saris, they're available in several different colorways and sizes, and would add a note of refinement to any room.